Another baby blanket, most likely my last one. 2014 is going to be about sewing/knitting stuff for myself, not others. I wanted to quit baby gifts many times before, more seriously last summer, but extended till the end of the year. Now I’m done with them. I will post some other (last) baby gifts soon, together with things I made for Christmas. Pattern: Sunny Bunny (free). Not really impressed by this pattern. I got it to look cute only by looking at this user project. I don’t think mine looks like a bunny, maybe more like a kangaroo? Sunny Kangaroo it is :). Embroidery: I used interfacing on the front and back, to support the fleece fabric and that made a big difference. Fleece fabric: Nicey Jane by Anna Maria Horner (sold out). Wish I had ordered 2.5yards more to make myself fleecy PJ pants, but I know I didn’t because I have plenty of other fabric suitable for pajamas. Another horsey! For a special little girl that just turned 2 ^v^. This time not in a summer but in a winter setting. JoAnn still sells the same colors of fleece, but I don’t like making something twice, so I picked a different fabric (forgot the name…might have been fake suede). I thought the fluffy minky would be cute for the ears and tongue. I second-guessed myself while working on the horse, but now I like it. The hair color is best described as hot chocolate with marshmallows :). I added a little pouch to the end of the stick, as suggested by Jorrit, to protect hardwood floors. Great idea! Accidentally this horse also has kind of a crooked mouth, but I guess that makes him even more horse-like. The tutorial for the stick horse is over at MadMim’s. I took these pictures when it was getting dark and I thought there wouldn’t be enough light, but I love how the exposure worked out! The pattern is Wee Ones by Susan B. Anderson, from the Craftsy class with the same name. I wasn’t sure at first if I wanted to make this bunny, because I didn’t like the face Susan gave it and couldn’t come up with anything better, but Ravelry is great for this, because it enables you to look at other people’s ideas for a specific pattern. I quickly found TheCraftyPetite’s bunny face and was inspired. About the embroidered B; ideally it would have been in the exact middle of the corner, but I’m still trying to figure everything out. 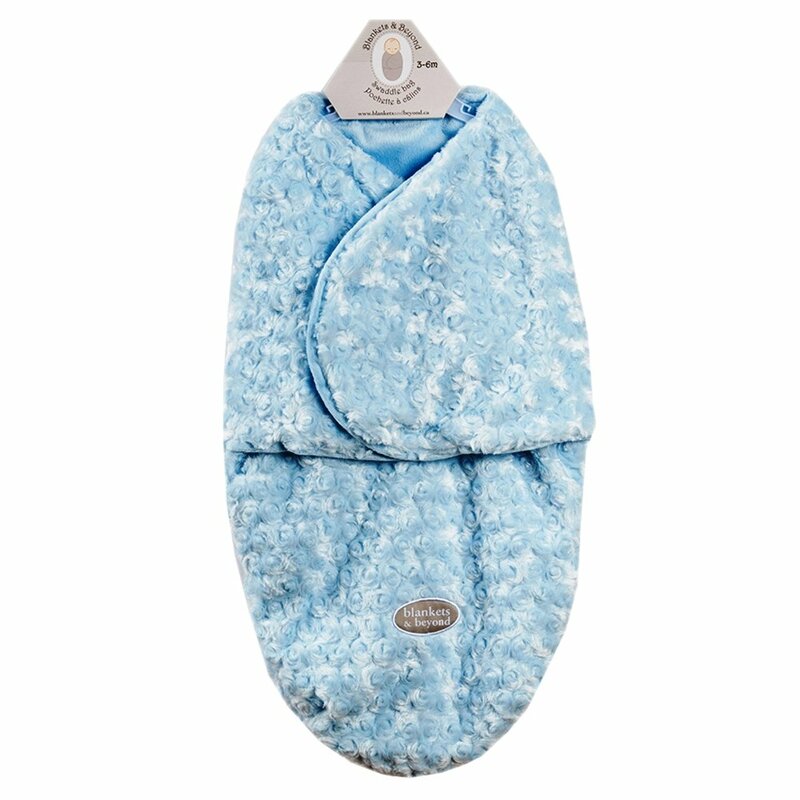 The fabric underneath the bunny blanket is a store-bought swaddle bag from Blankets & Beyond. Oops I did it again... I’m really not sure how to prevent that if you’re embroidering something substantial. I also included 3 cute little hats in the package, as worn by the bunch in this picture. That’s what they look like, but they’re far less innocent, haha. They’re actually peepee teepees or wee wee wigwams, or whatever you’d like to call them. They protect parents from baby boys’ golden showers during diaper changes, haha. Giraffe was prepared to demonstrate the purpose in an X-rated photoshoot ;). I followed this easy tutorial and quickly whipped up 3 of them. Fun little joke gift for new parents. For Kimia’s baby shower. I used this tutorial for the burp cloths, they can be used as changing mats or as burp cloths. The fabric is from Dr Seuss – All The Places You’ll Go. The giraffe is just the model :). Still working on the spider pillow. My machine was being serviced, while in the process of making it and I haven’t touched it since. Making envelope pillow cases should be easy, but not if you have a “it’s better to cut it too big than too small”-attitude about it and are working with french seams. French seaming + pom poms = not easy. The pumpkin and cat pillowcase could be a little snugger as well. Knit these fun eyeballs too. The pattern is Eyeballs Out! (free) by Claire Garland. The trick to a stressed turkey is just using pins. That’s how I did peekaboo elephant too. CAN’T wait till it’s January 2nd and this new Sally Bee Family cookbook will come out. I have 54 (!) cookbooks (excl. dessert books), yep I just counted them and am quite shocked. I thought I had approx. 30 cookbooks total. Oopsie…Anyway, Sally Bee is my favorite cook book author. Her story is inspiring and her heart-healthy food is really tasty :). Unfortunately the book is not readily available in the US, but I will order from the UK. I think I’ll enjoy this book a lot. It’s on my Christmas wishlist for this year, so hopefully…and if not, then I’ll just get it myself in the New Year. I’ve been thinking about asking this one for Christmas as well, but have finally decided to buy it myself one of these days. I want to make a skirt before it’s Christmas. Hopefully I can get it done. I was also doubting between this book and a few other Dutch books, like Allemaal Rokjes and Rokjes! + Patroonbladen, but I want to learn from scratch instead of using patterns and this book seems to offer more variation than Allemaal Rokjes does. Another owl! And my last one :). Made the wings freestanding again and added crinkly plastic as well. I thought I would be an experienced owl maker by now, but getting the center strip and the back in was a challenge. Somehow I had too much center strip left over at the back, but not in the front. Stretchy minky fleece made it even harder, but the walking foot makes it easier, still hard, but definitely easier.